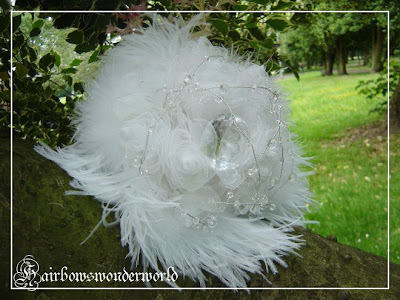 hairbowswonderworld: The Eclectic Artisans Team: "Myth & Magic" Team Challenge - YOUR vote counts! The Eclectic Artisans Team: "Myth & Magic" Team Challenge - YOUR vote counts! Please come check the link about for our EART Team challenge! And don't forget to vote for your favorite items. Your Highness, long ago I heard my father tell that there was in yonder castle a princess, the most beautiful that ever man saw; that she must lie asleep there for many. many years; and that one day she will be awakened by a king's son, for whom she was destined.At these words Prince Florimond felt himself afire. he belived, without weighing it, that he could accomplish this fine adventure; and, spurred on by love and ambition, he resolved to explore then and there and discover the truth for himself.Leaping down from his horse he started to run towards the wood, and had almost reached the edge of it before the attendant courtiers guessed his design. They called to him to come back, but he ran on, and was about to fling himself boldly into the undergrowth, when as by magic all the great trees, the shrubs, the creepers, the ivies, briars and brambles, unlaced themselves of their own accord and drew aside to let him pass......"
A cluster of white sheer organza roses surrounded with white marabou and ostrich feathers under a net of clear crystal garland on silver wire. Hidden in the middle is a huge and beautiful clear crystal, waiting to be explored, loved and awakened.